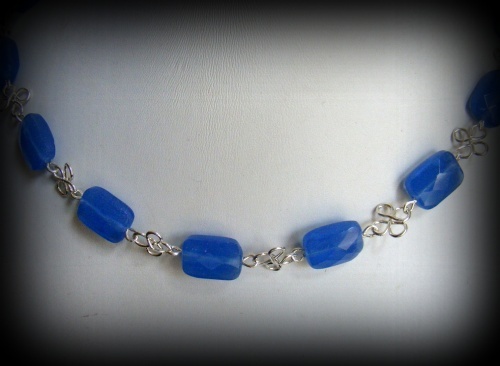 This beautiful chalcedony gemstone necklace has faceted gemstones that reflect shine! Sterling silver clover shaped pieces are handmade and linked between the beads. Measures 19" long. Comes with matching earrings.